After our last release in November, we’ve shipped new features and fixed bugs to make TeamWave better. Updates include CRM search functionality, tags, option to add deal followers, Google Calendar integration and much more. This post will introduce you to the product improvements and keep you updated on what’s new. Now deals, contact persons and organizations are just a search away in CRM. Simply start typing the name and we’ll show you the segregated result. Tags are the keywords that can be used to categorize deals, contact persons and organizations. 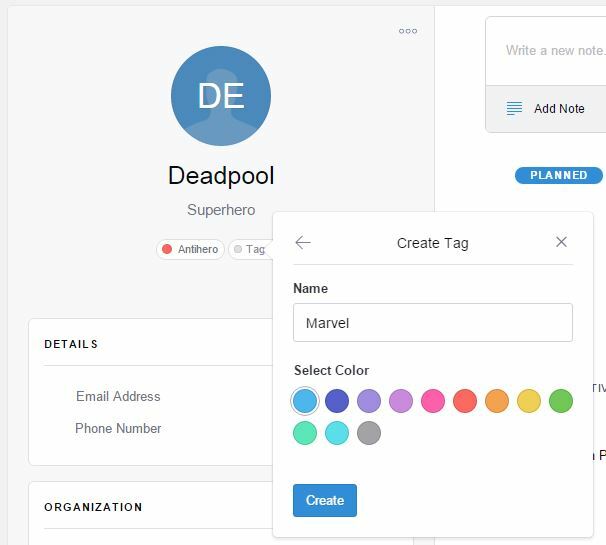 You can create tags to classify your deals and contacts based on your relationship (client, vendor or partner), business domain, location etc. 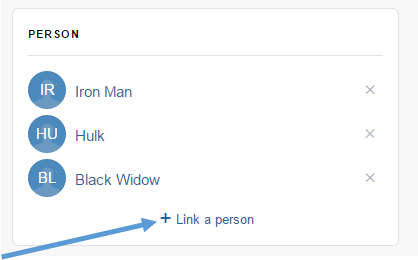 Tags are very powerful for segmentation, as you can add multiple tags to a single contact/deal. For example, one organization can be tagged as both “USA” and “Ad-tech”. Want to share the deal details with your team members? Just add them as followers to the specific deals! They will be able to visualize ALL the actions taken by the deal owner. Not only that, followers can also schedule activities, add notes and upload files. 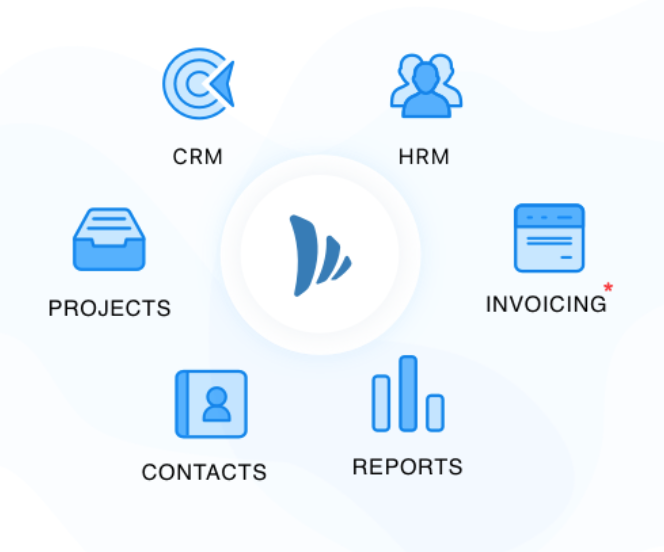 This is one more step towards team collaboration in CRM. Many of the uploaded contacts become obsolete over time and deleting them one by one is something none like to do. 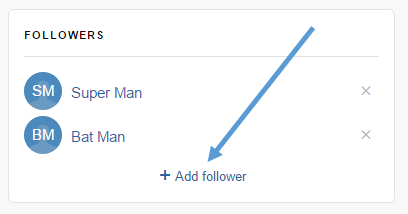 Now, just select the contacts using the check box and click on “Delete Contacts” to remove them from your account. The list view section gives you overview of the deals, their stage, value, organisation and expected close date. Editing right from the list view lets you change these deal details without going to the individual page. Selling to businesses often involves dealing with multiple decision makers from the prospect’s side and it makes sense to have them linked to the deals. With this improvement, you can link or add multiple contact persons to a single deal. This section lets you document activities associated with the deal, contact person and organization. But, with time the number of activities start growing more and more. Now the improved activity page will help you prioritize your work and concentrate on important ones by showing the overdue activities in red and activities for that day in green. Also the number of activities at the top of the “Activity” link in the CRM navigation will act as a constant reminder and keep you on your toes. We have made it easier for you to add or link new contacts and organization from any section, be it the deal page, contact person or organization details page. Now there is no need to add contact first to link to existing deal. 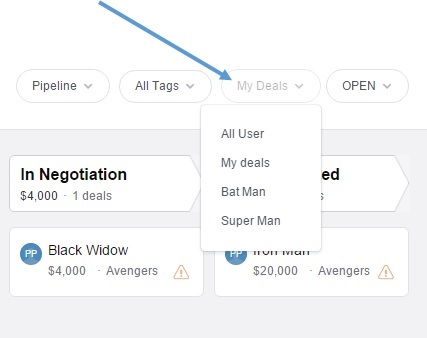 While filtering deals by users, in the drop-down you will see the users who are owner of at least one deal. Less time to filter and more time to track progress! Never miss any Project related event by syncing the event’s timing and date with the Google Calendar right from the dashboard page. Let Google remind you when the time gets closer. Don’t forget to try out these features and give us your feedback. ← TeamWave’s Product Hunt Experience: 600+ Registered Companies!